Please click on the highlighted link and make a contribution to fill our black communities with black capable of reading aloud, each one teaches one. This is a little-known fact that many people in our black communities don’t readily comprehend. That states, as well as the federal government, utilizes the standardized reading levels of our 8 and 9-year-old babies to determine the number of prison cells necessary to house those babies once they reach adulthood. The literacy or lack of literacy skills is one of the major components that drive prison construction. That is one of the main reasons our educational centres focus on reading by grade level by no later than the fourth grade. The reason is that most intervention models cannot accelerate on level reading achievement for a vast number of our brown and black babies. At the current time, almost 2/3 of the black children enrolled in our public schools are reading at the most basic levels or below. This means that out mushrooming black illiteracy rate will not decrease in the coming decades. The rate of illiteracy will increase and that means more constructed prison cells and fewer constructed classrooms. The choice is ours as a community, only we can disrupt this classroom to prison cycle for our brown and black babies. In essence, we can develop thousands of Blackman Who Read Aloud and build universal literacy for the coming generations. We must link together, band together as brothers to advance the cause of literacy for all. We also must integrate the multiple available community resources that promote and engage learning with this population of students. The task will not be easy because once our children reach the middle grades to the beginning of high school educational frustration sets in. This means that the joy of learning decreases and boredom sets in. The young adults want to do anything but be engaged in a failed system of learning. About 28 months ago I started a project to read black historically relevant books aloud in sessions of one-hour to expose our struggling population of adult readers to our glorious black history. Because of the fact that illiteracy has closed the door to them getting this type of vital historical information. It is said that learning one’s history develops a sense of purpose and a sense of desire. The Blackman’s Read Aloud National Podcast will deliver a digital solution to the many brown and black struggling readers. 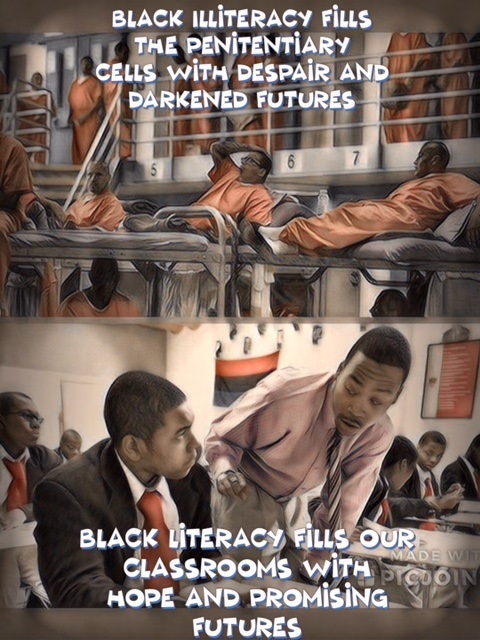 It will also illuminate the issue of black illiteracy as well as promote the goal of black universal literacy, It can also be used as a teaching tool. The project must be developed professionally with the assistance of black digital marketing specialists to ensure that it has the necessary exposure to drive interest. 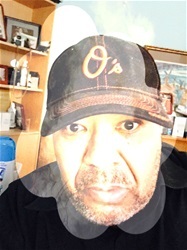 That is the primary reason why I established both a Patreon and GoFundMe campaigns to raise funds to assist in the elimination of black male illiteracy in America. Every little donation helps, so, go to either of my sites and make a contribution. If you don’t feel comfortable using those sites sent a contribution directly to my home. I promise you that Blackman Read Aloud Hour National Podcast will have complete transparency. Every brown and black baby enrolled in school should be able to read at grade level but even if that doesn’t happen we must ensure they can read as adults.